On August 22, 1848, Grant married Julia Boggs Dent (1826–1902), the daughter of a slave owner. 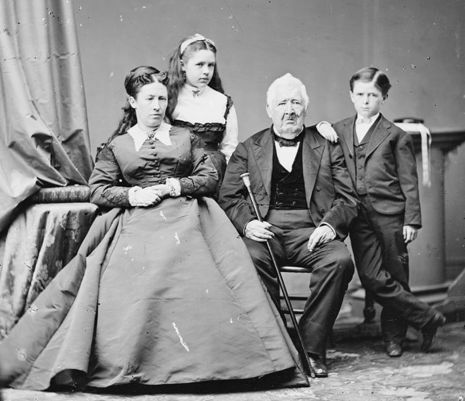 Together, they had four children: Frederick Dent Grant, Ulysses S. "Buck" Grant, Jr. , Ellen Wrenshall "Nellie" Grant, and Jesse Root Grant. 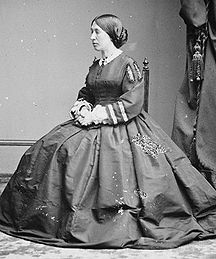 Julia Boggs Dent-Grant (January 26, 1826 – December 14, 1902), was the wife of the 18th President of the United States, Ulysses S. Grant, and was First Lady of the United States from 1869 to 1877.